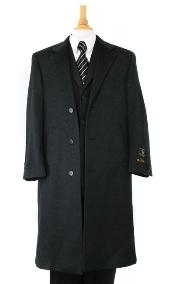 The single breasted overcoat with a notched lapel, is a more traditional style, whereas, the double breasted peak lapel overcoat is considered a little more formal and wears warmer due to the double layer covering the chest and torso. 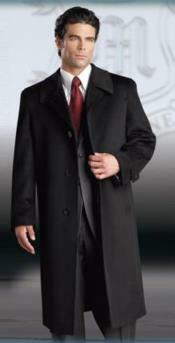 No matter the style all coats come in various lengths, as well. 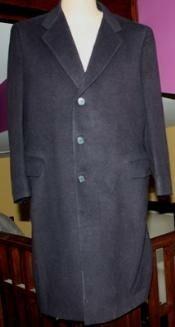 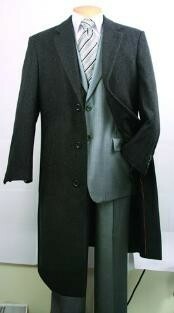 Similar to the notched lapel being traditional, the longer length coats are more traditional, also. 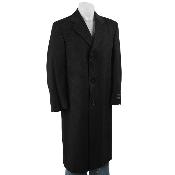 These full length coats are often the coat of choice for the more seasoned gentlemen as they can compliment a broader range of figures, including those that are more round in the mid section. 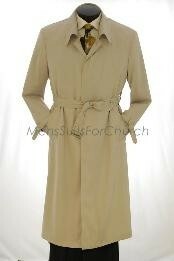 The trendier of the lengths, is the knee-length, which can fall anywhere from right above or below the knee. 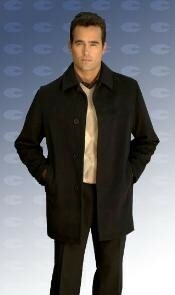 This look seems to appear best on the trimmer and more fashion forward young man. 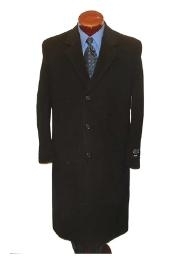 These knee length coats are made for the gentleman that wears his clothing closer to the body and appreciates a slim fit. 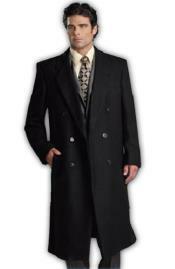 When choosing either a top coat or an overcoat, you should order the same size you would wear in a suit as the coats are cut to go over your size in a suit. 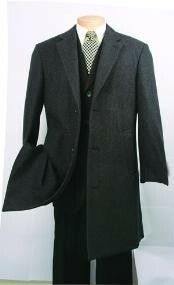 This is for flexibility and to assure that your suit will not be wrinkled because it is stuffed in your outerwear. 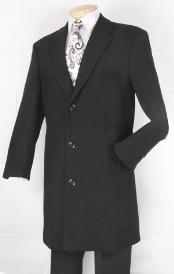 The extra provided space in the cut will also leave room in the shoulder area for the shoulders in your coat beneath to be able to fit in without being indented. 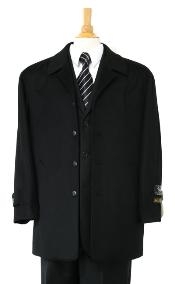 Some men do prefer a more fitted coat, however, a clear indication of one fitting too tightly would be any X marks left on your suit from the buttoned up overcoat. 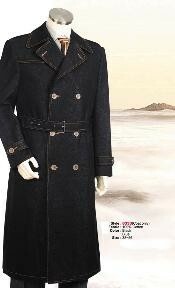 Also, be aware of the quality, as you want this coat to last you for winters to come. 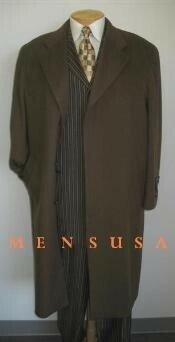 High-quality coats have a sewn canvas, like the ones we carry here at MensUSA. 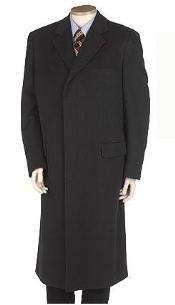 Whereas, less expensive overcoats are fused together, and won't last long at all, as the glue will come loose, eventually ruining the coat in its entirety. 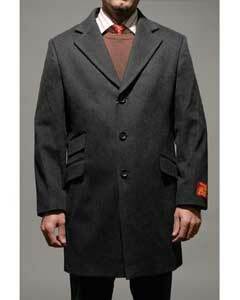 The sewn canvas is definitely more durable and built to last. 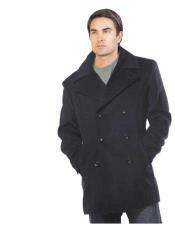 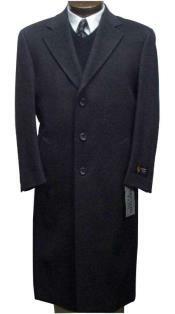 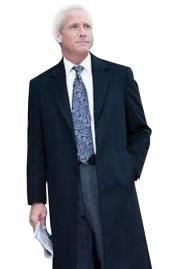 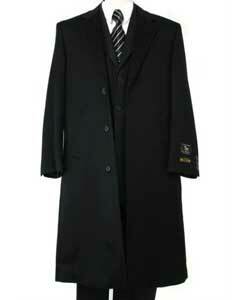 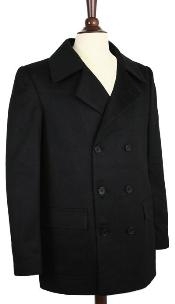 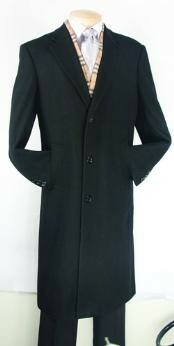 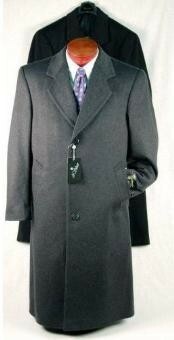 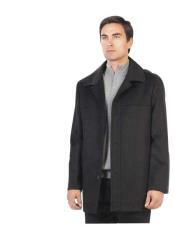 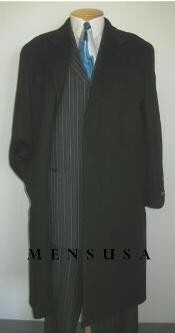 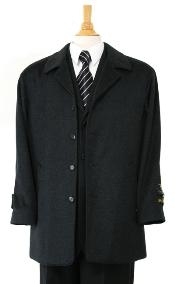 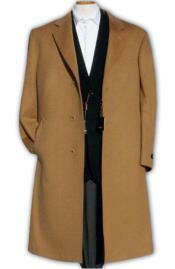 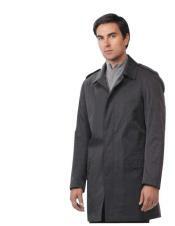 We also pride ourselves in carrying a large variety of sizes and styles of the overcoat. 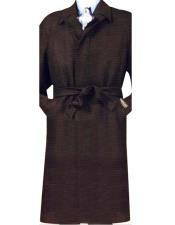 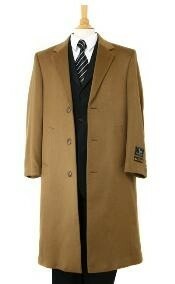 Along with a variety of styles, we also have many colors including, camel, dark brown, black, charcoal and navy. 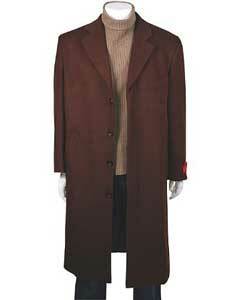 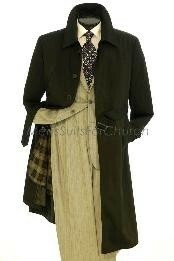 Black Overcoat Mens" Tan Overcoat Mens" Brown Wool Coat Mens"